How to Get Subsite Size in SharePoint Online? 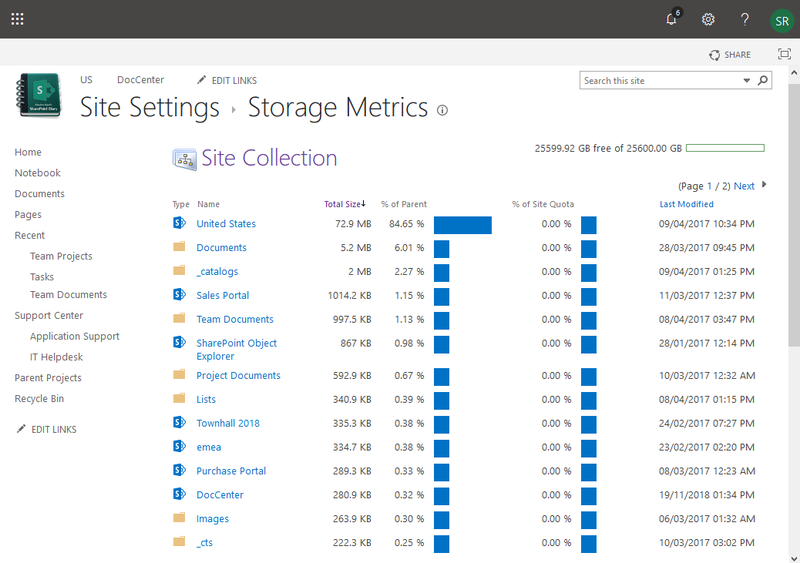 Site Settings >> Click on "Storage Metrics" link under "Site Collection Administration"
Please note the data shown in storage metrics is not real time! It takes a while for a background timer job to run and populate this data. Here is the PowerShell to get subsite size in SharePoint Online. This PowerShell script gets the size of a given subsite. How about retrieving storage consumption of all subsites in a site collection? Lets get the size of all subsites in a site collection and export to CSV file. Write-host -f Green "Toal Size of the subsite (MB): $SizeinMB `n"